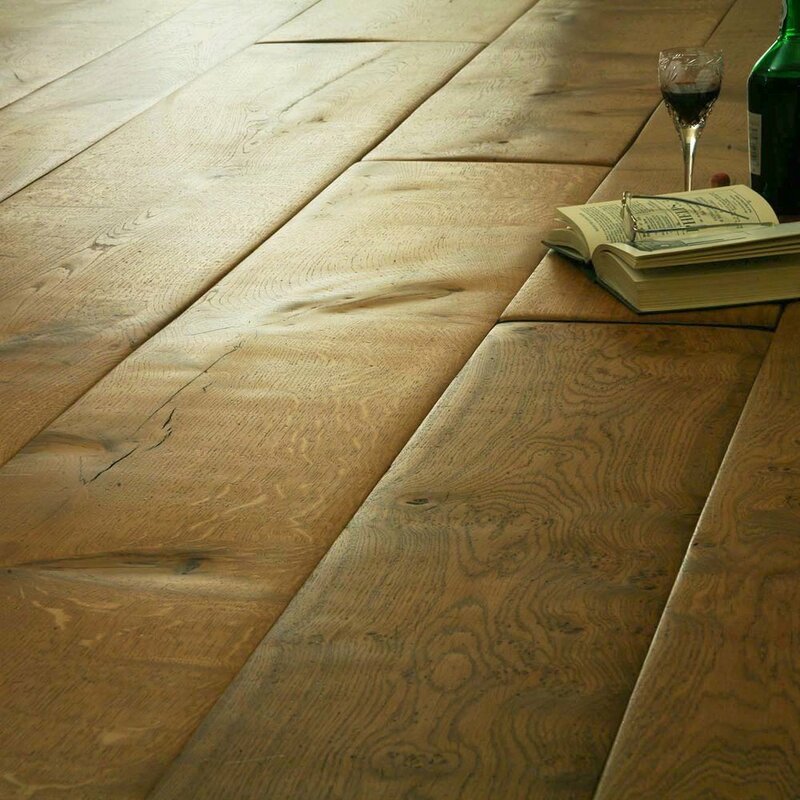 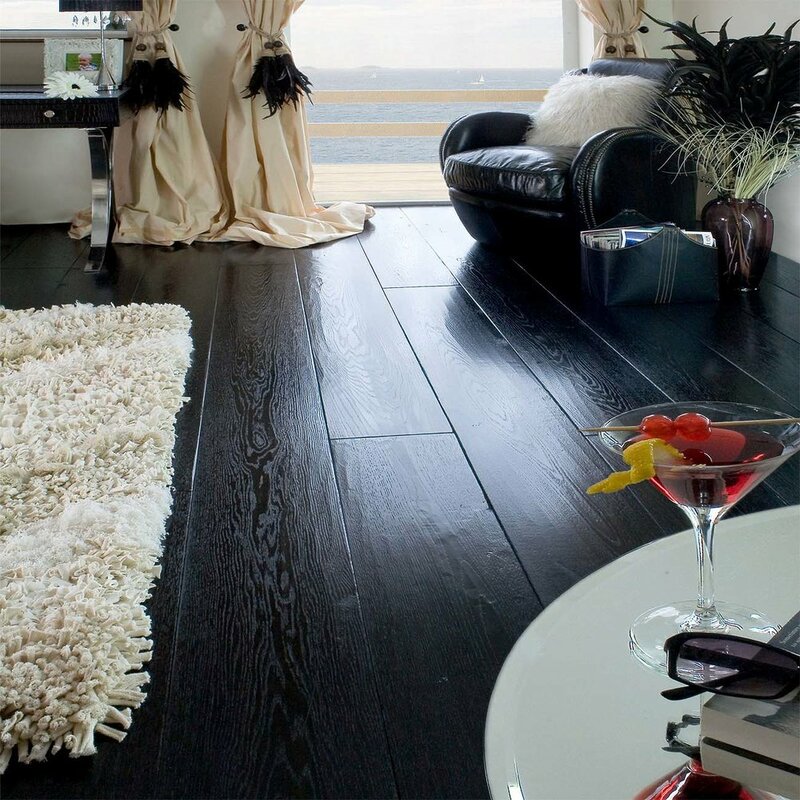 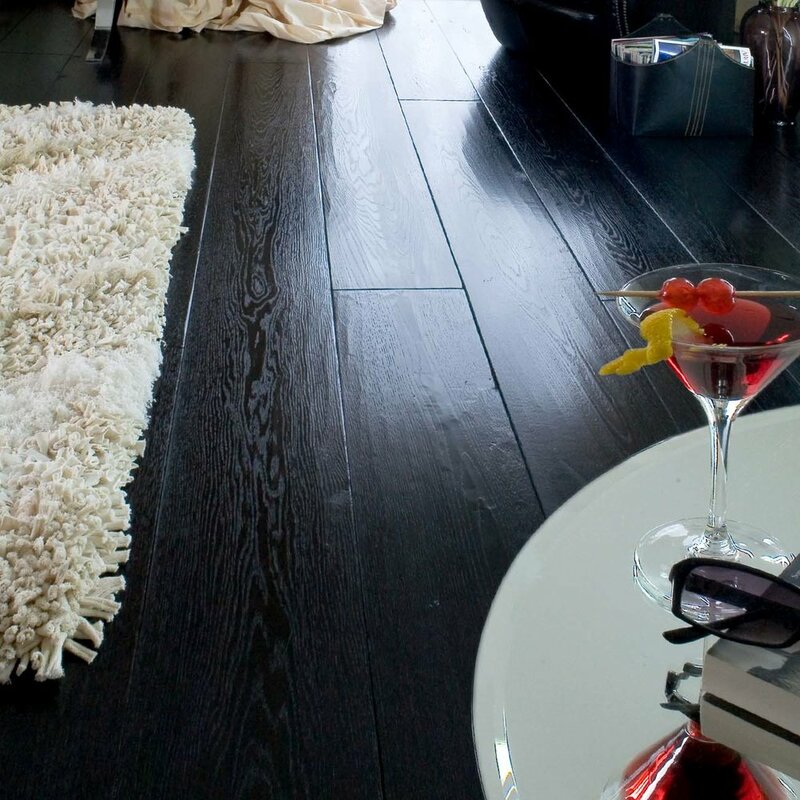 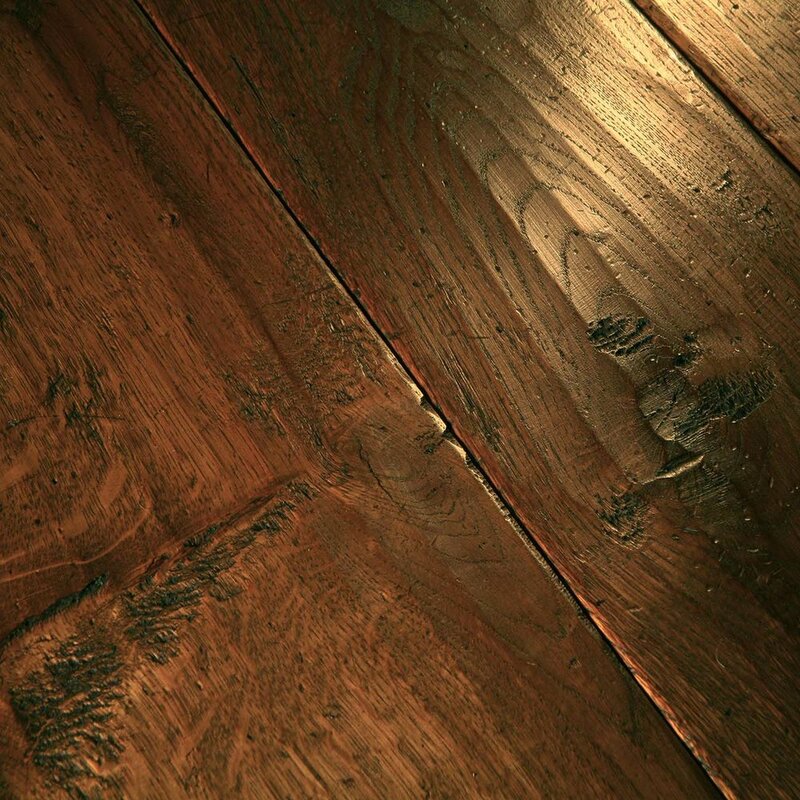 For the most prestigious projects where resources allow, we are able to produce a range of bespoke engineered oak flooring, tailored to our clients’ individual requirements. 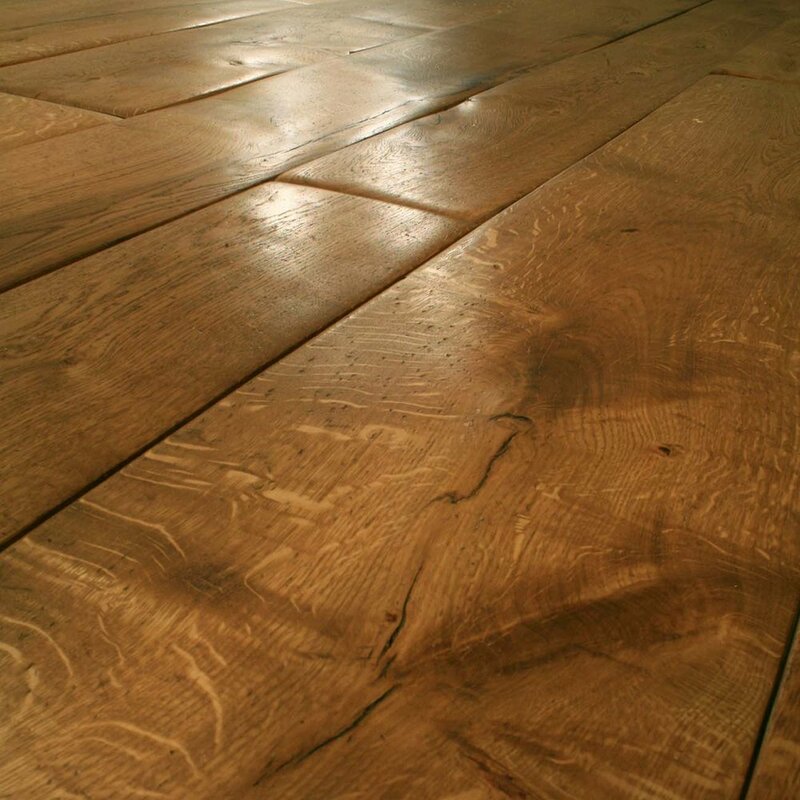 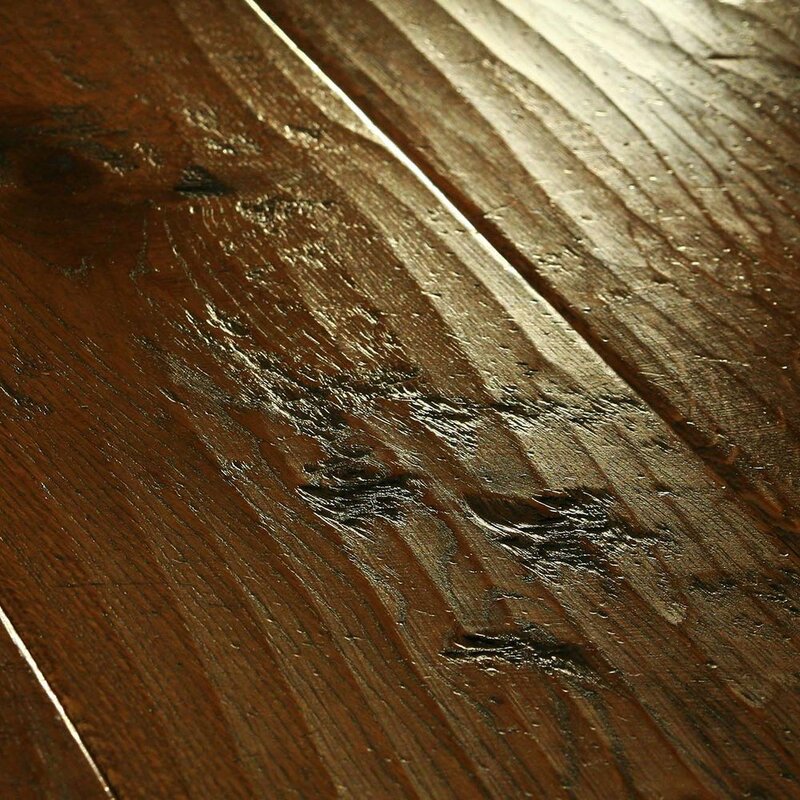 Because each floor is hand polished, to order, in our own workshops, should you wish to alter the level of distressing, the edge detail, the sheen level, texture or board width for wide oak floors, we would be delighted to produce a sample for your approval. 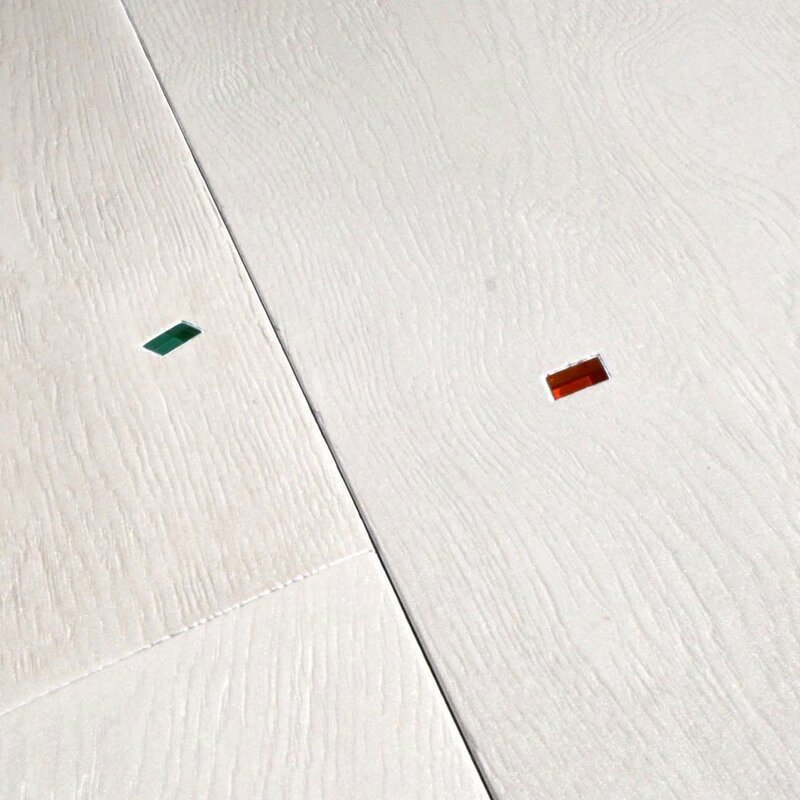 We also offer a fully bespoke colour service. 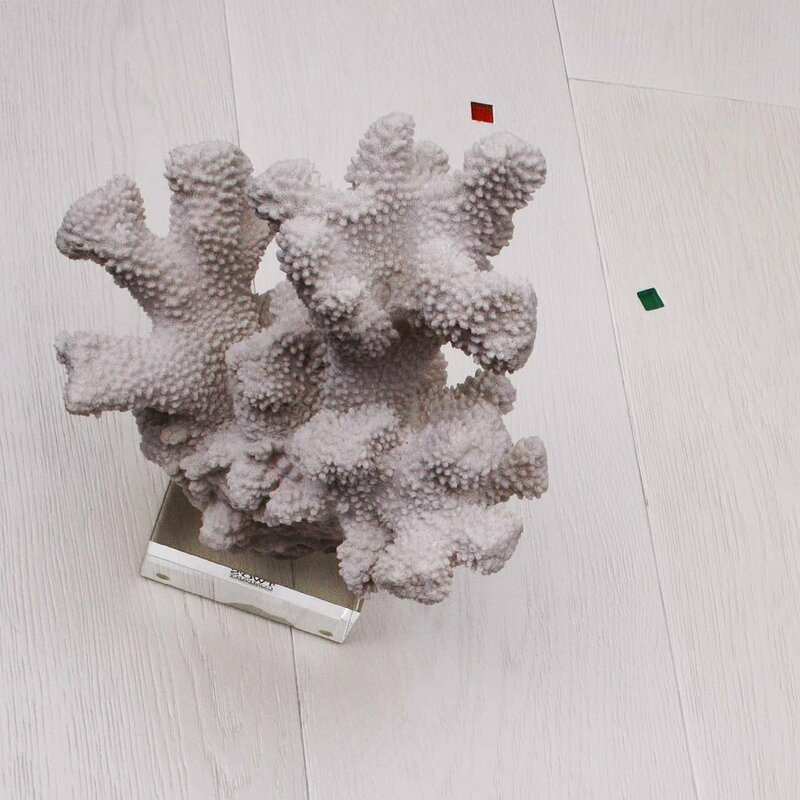 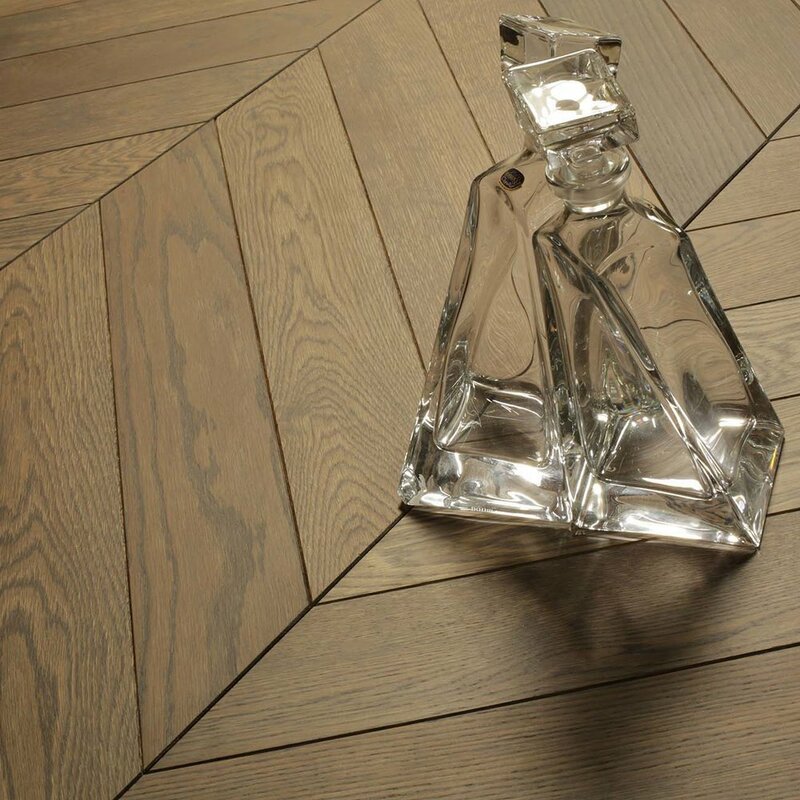 Pearlescent white oak floor, with coloured glass randomly inlayed. 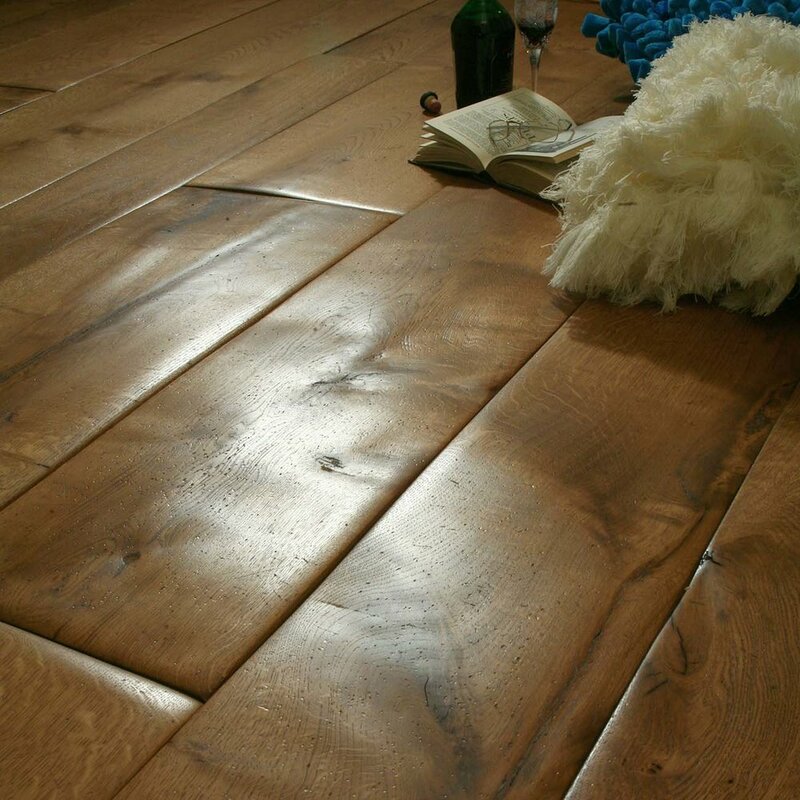 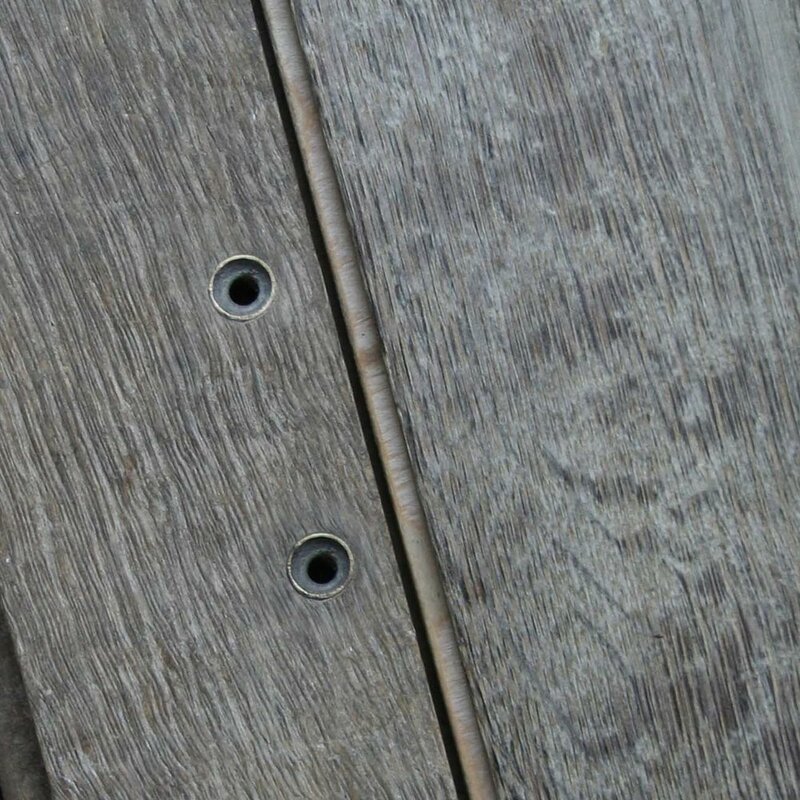 Although we a have a palette of popular colours for oak floor, this is by no means the extent of our range. 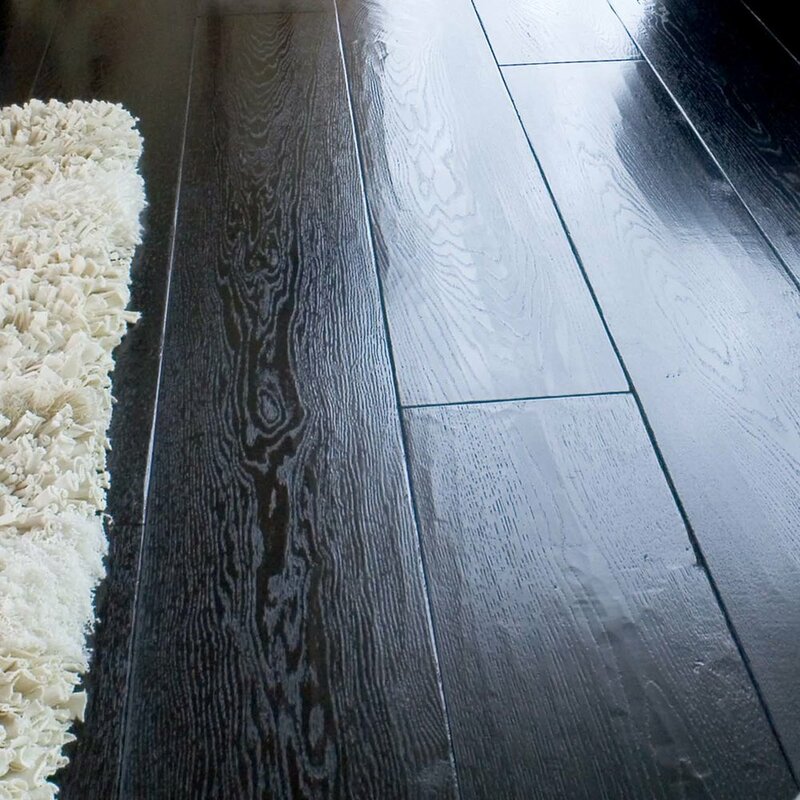 We will help you find the perfect colour to match your home renovation.